Bear shaped onigiri (a packet of nori was included in the lunchbox for wrapping the rice at lunch-time). 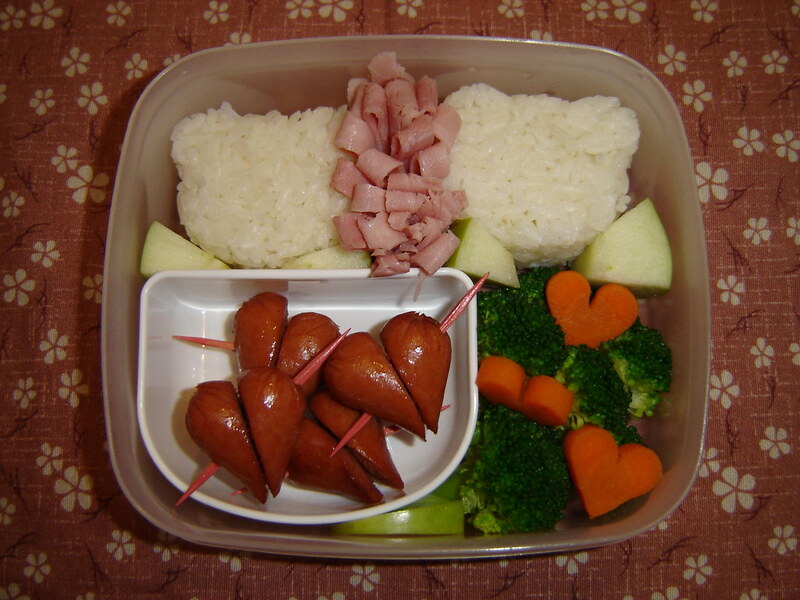 Ham between the bears, apple bits tucked in here and there, broccoli, heart-shaped carrots and heart hot dogs. Ends of the dogs were cut off at angles and skewered with red toothpicks.